The more I travel and learn about the world, the more inspired I am to give back and make a difference. Besides writing on non-profits and volunteering, I also like to donate money to causes and non-profit work that I believe in. However, if you are like me, it can be extremely daunting knowing where to even begin especially because there are so many ways you can give and so many charities out there. You can give a one-time donation to a charity that you love, you can purchase a “gift that gives” back, you can finance micro-loans to small businesses or even pay for a girl to go to school or a clean birth kit for a mother in Africa. The list of ways to give back is endless. Perhaps because it can be so incredibly overwhelming yet exciting all the same, I am passionate about finding new models of giving back and sharing these organizations with you on my blog. Today, I would like to introduce The Adventure Project, a non-profit that “adds venture” to offer education, tools and resources for people to become entrepreneurs and change their lives. I had the opportunity to speak with one of co-founders, Becky Straw, and learn more about the inspiration behind The Adventure Project and what she and co-founder Jody Landers are doing to change the world. Here is what I learned. This week as part of World Moms Blog where I am a writer and editor for our social good column, we are participating in our second annual campaign to support fellow World Moms Blog writer Kristyn Zalota’s non-profit organization CleanBirth.org which saves lives of mothers and their newborns in Laos. 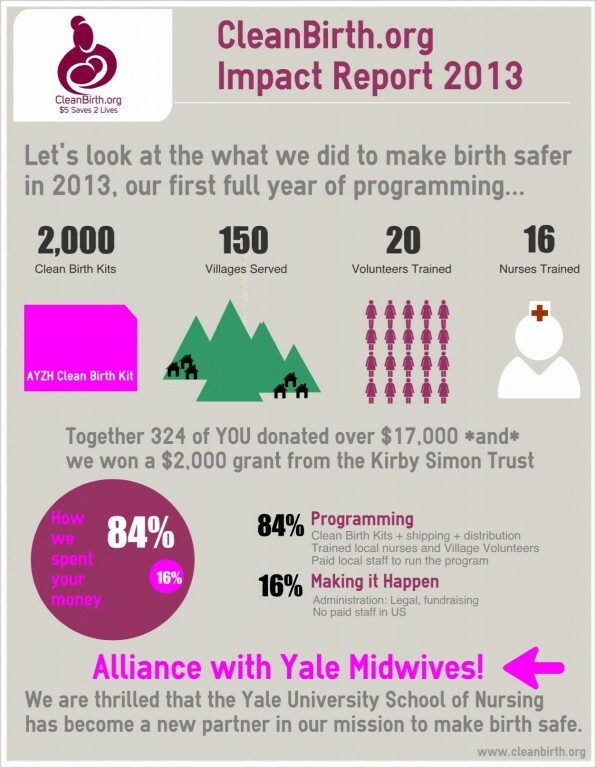 Partnering with Multicultural Kids Blog and Girls Globe, we are coming together to help CleanBirth.org launch their crowd funding campaign to raise $7,500 to help train more midwives and provide sterilized birth kits to mothers in Laos. What is so amazing about Kristyn’s story is how she saw a problem half-way around the world and decided to change it. As an avid traveler and a doula, Kristyn saw firsthand through her visits in the developing world how many mothers and children die during childbirth from simply lacking a safe, sterile birth. 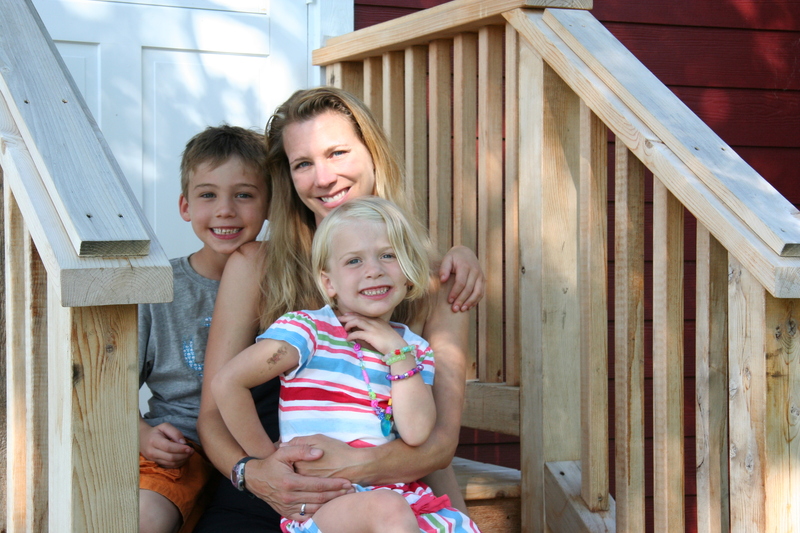 Inspired to make a difference Kristyn began CleanBirth.org and two years later she has seen remarkable results and has saved many lives. I normally try not to be too personal on my blog as I understand there are certain things I can and cannot share. Yet today, I must open up about something near and dear to my heart. The fact that the last six months of my life, I’ve experienced firsthand what it is like to be impacted by a loved one fighting cancer. My family has been part of the startling figure: There are one million new cases of cancer diagnosed in the United States every year. I will not lie. The initial news of my loved one’s cancer diagnosis was devastating. My life fell apart as I was buried in fear, shock, anger and despair. But one thing never ever left us after hearing this cruel news. Our love for one another and our hope that we would help our loved one fight this awful disease and win. 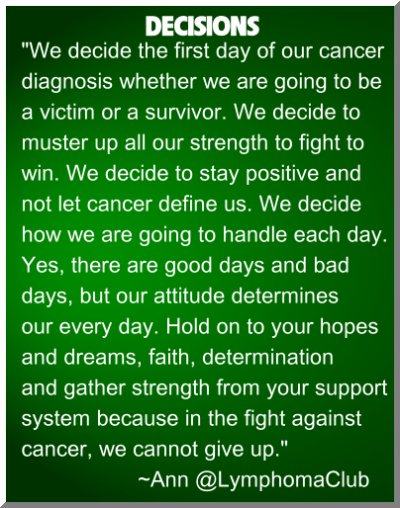 Today ironically enough, on World Cancer Day we heard incredible, amazing news. That for now, the cancer is in remission, something we did not think would at all be possible so soon. Although the news is the best possible, we will continue to fight this battle to the end and never lose sight of hope and gratitude for our lives. For that is the best we can ask for. The time we get on this Earth is sacred and it is short. Every day is a gift. That is why they call it the present. One thing I have learned so far through this entire ordeal is that I am not alone. 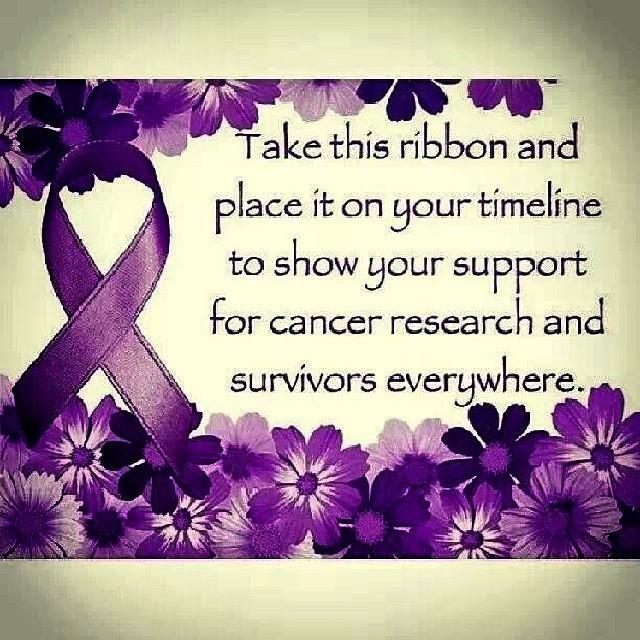 In fact, everyone I know has been impacted by cancer either by a family member or close friend. But the diagnosis of cancer is no longer a death sentence. In fact we have made remarkable progress in fighting cancer which is a cause to celebrate. Per the American Cancer Society, 60 years ago 1 out of 3 people diagnosed with cancer would survive. Today, 2 out of 3 people will survive. What if the entire world joined forces to fight cancer? Today, Tuesday, February 4th is World Cancer Day, a time when organizations and individuals around the world send a message: Ending cancer should be a global health priority. According to the latest data released by the World Health Organization, an estimated 14.1 million new cancer cases and 8.2 million cancer-related deaths occurred in 2012, compared with 12.7 million and 7.6 million, respectively, in 2008. World Cancer Day, an initiative of the Union for International Cancer Control (UICC), unites the world’s population in the fight against cancer. This year’s campaign will focus on reducing stigma and dispelling myths about cancer. 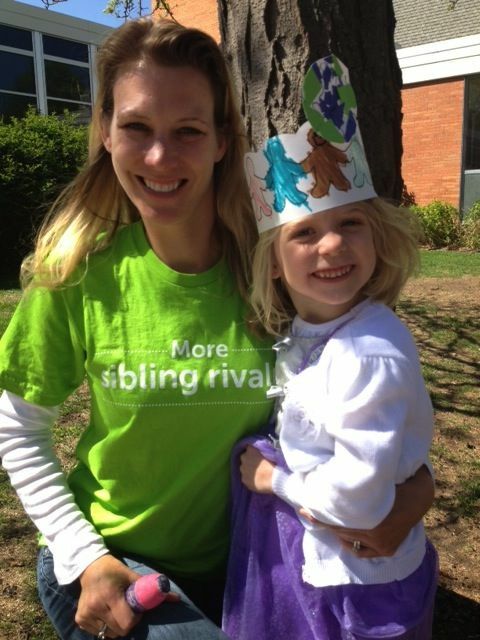 What you can do today to help fight cancer? Color your Facebook or Twitter profile purple to celebrate cancer survivors on World Cancer Day by clicking here. For every purple profile, Chevrolet will contribute $1 to the American Cancer Society for every purple profile, up to $1 million. For more information on cancer, World Cancer Day and support, contact the American Cancer Society’s website which has an abundant amount of resources. We are the world. We are the children. 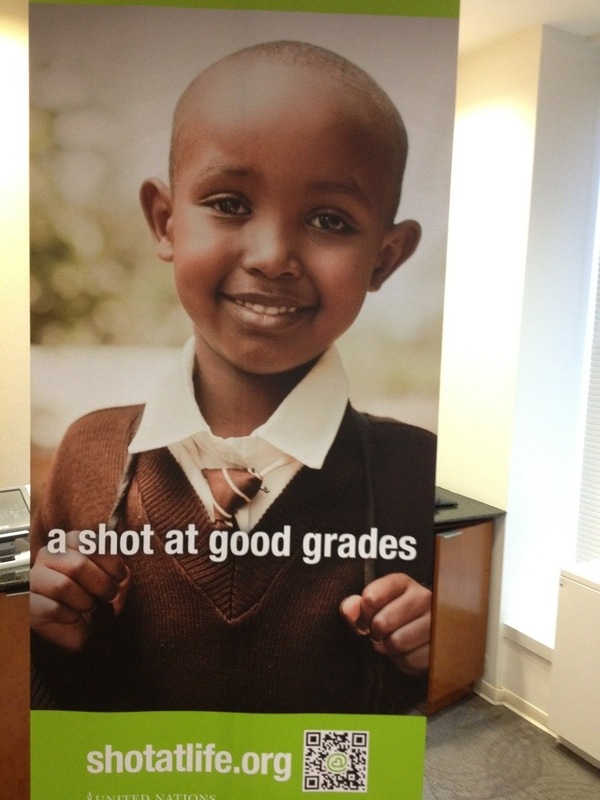 Why I support Shot@Life…..the children. By supporting and fundraising for Shot@Life, with the help of my friends we have raised over $1500 and counting which will be enough funds to vaccinate 72 children in developing countries for life. I am not finished. There is still much work to be done and more money to be raised. I have miles to walk before I sleep. The number of children dying around the world due to lack of life-saving vaccines is equivalent to the half of the children in the United States entering Kindergarten this fall. We are going to change this fact. Here is a priceless video of Sophia’s practicing her song for yesterday’s preschool concert. Click on link below to view. We are the ones who make a brighter day so let’s keep giving. There’s a choice we’re making. We’re saving our own lives. It’s true, we’ll make a brighter day just you and me. Photo above from Shot@Life Campaign literature. I adore this photo of the beautiful children who look so happy despite their poverty. They are still just kids. So what does it take to be a Shot@Life Champion? What exactly is a Shot@Life Champion? Why do I care? Why should you care? Did you know that every 20 seconds a child dies from a vaccine preventable death? Photo credited to UN Foundation. That is about the time it takes to read the first paragraph of this post. A life has gone that could have been saved by a mere $20. The cost of buying two tickets to a movie, a bottle of wine or a birthday present for a child. That is it. But to many people around the world, that is everything. Over the last two days I had the honor of attending the UN Foundation’s Summit as a Shot@Life Champion who in the coming months will be one of 45 citizens across the nation championing this great cause in saving lives around the world. Through raising awareness and funds for four life-saving vaccines, it is our hope that we can galvanize the nation so that no child around the world will not have a Shot@Life. A shot to reach these important milestones that many of us Americans take for granted. So why does it matter? I can tell you exactly why. For some reason these inspirational words form one of my favorite childhood books continues to inspires me. Especially on day’s like today as I get ready to launch off and head out to our nation’s capital to start a new beginning as an advocate for the UN Foundation’s program called at “Shot@Life”. I will be one of 40 or so attendees of the training program that starts tomorrow and I can hardly wait. Photo above credit to Wiki Commons. 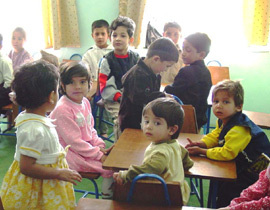 Children in Kindergarten in Afghanistan. This year, 1.7 million children will die from diseases that have all but disappeared in the U.S. Why? 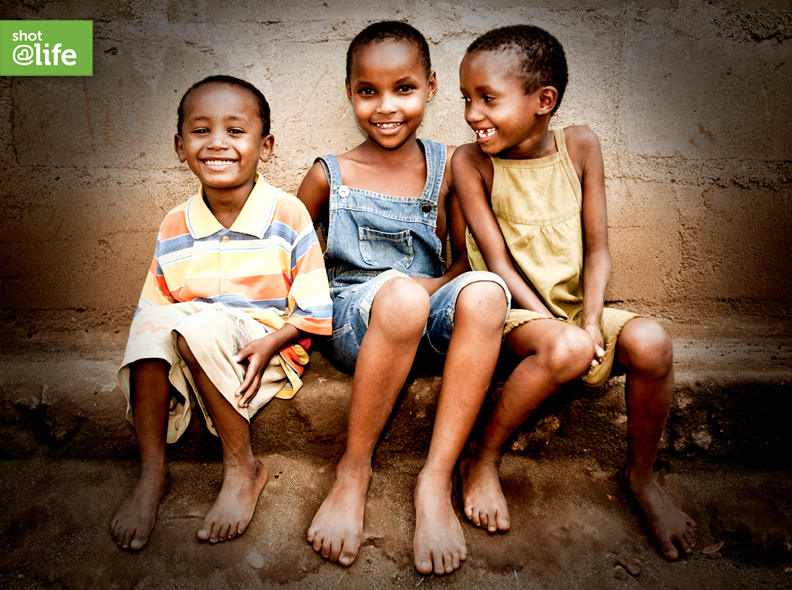 Because one in five children around the world do not have access to the life-saving immunizations needed to survive. Millions of children are disabled or killed every decade by preventable diseases like pneumonia, diarrhea, measles and polio. Pneumonia and diarrhea are the two biggest killers of children under five, and account for more than one-third of childhood deaths worldwide. Seventy-five percent of unvaccinated children live in just 10 countries. For children in India, Nigeria, Pakistan, Indonesia, Democratic Republic of Congo, Ethiopia, China, Uganda, Chad and Kenya, access to vaccines mean the difference between life and death, a healthy life or a lifetime of struggle. Germs don’t need a passport. With so many children around the world unvaccinated, diseases that have been eliminated in developed countries — such as measles — can return. Expanding access to vaccines strengthens our ability to fight disease globally and keep our families healthy here at home. It’s simple; vaccines save lives. Millions of children could be spared from measles, pneumonia, diarrhea, polio and other preventable diseases if we could simply get them the vaccines they need. The good news is access to vaccines has grown significantly in the last decade. Currently, vaccines are able to save the lives of 2.5 million children from preventable diseases every year. With your help, we can reach even more. With your support, global vaccination programs can save the life of a child every 20 seconds, and stop the nearly 2 million unnecessary deaths that happen every year. Vaccines have won several battles against preventable diseases in the last few decades. Thanks to a coordinated global vaccination effort, the number of new cases of polio – a disease that once paralyzed more than 1,000 children a day – has dropped 99 percent in the last 20 years. The world is now nearly polio-free. The Measles Initiative is on the path to similar success. The vaccination of one billion children in 60 developing countries since 2001 has decreased measles deaths by 78 percent, changing measles from a disease that used to be the leading killer of children to one that we are close to eliminating altogether. Groundbreaking new vaccines that prevent pneumonia and diarrhea, if distributed widely, also have the potential to save the lives of millions more children. Immunizations give children around the world a shot at more “firsts.” Keeping kids healthy is the best way to ensure they reach the milestones Americans routinely celebrate. When a child begins life with the protection of vaccines, the door is opened to more developmental firsts—first steps, first words, a first day of school. Immunized children are more likely to celebrate their fifth birthday, do well in school and go on to be productive, healthy adults. A healthier world truly benefits us all. Expanding access to vaccines strengthens our ability to fight disease globally and keep our families healthy here at home, while improving economic stability around the world. How can you help? I will show you the way as soon as I get back from my training! Stay tuned…..